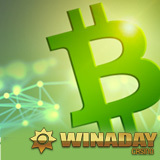 You can now make deposits and withdrawals with Bitcoin Cash at WinADay Casino. The unique casino, one of the first to accept Bitcoins and Litecoin cryptocurrencies, has just added this third cryptocurrency to its banking options. This weekend you can get a generous “crypto only” match bonus, just one of their St Patrick’s Day casino bonuses. Get a $10 free chip ($17 for VIP players) and a choice of deposit bonuses March 17-20, 2018. “Bitcoin Cash is quicker than Bitcoins and the fees are lower, so it’s one of the best ways for us to get winnings to players,” said WinADay’s manager, Michael Hilary. Bitcoins | Bitcoin Cash | Litecoin . 23X wagering requirement; 10X max cash out; for all slots and Keno. For deposits of $25–400 made in in Bitcoins, Bitcoin Cash or Litecoins. Deposits of $40-$250 will be doubled. 22X wagering requirement; may be claimed up to 4x per day; for all slots, keno and video poker. For nearly ten years, WinADay Casino has offered unique slots, video poker, Keno and Roulette games to players all over the world. Meet other players on the casino's active Facebook page. 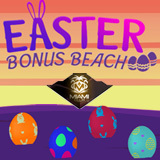 Miami Club Casino invites you to an Easter Egg hunt at Easter Bonus Beach. On Sunday, the casino will scatter colorful Easter eggs all over the beach, each containing a prize. Click on eggs to reveal prizes that include special deposit bonuses and free spins offers. This Sunday and every Sunday until April 1st the Easter Bunny will hide a new bonus egg on the beach. Miami Club is a deluxe online casino offering more than 120 unique games from WGS. where three Scarab scatter symbols trigger 15 free spins, Funky Chicken and Cool Bananas. Triple Wild Cherry and Triple 10x Wild are both three-reel, single pay-line games with classic slot symbols (cherries, lemons, sevens, bells and bars). Triple Wild Cherry has a progressive jackpot that can be won with a wager as low as $0.25. Triple 10x Wild has two Wilds that can be combined in a number of ways to hugely increase the pay-outs. Miami Club is well-known for its frequent one-day, seven-day and month-long slots tournaments which can be played on iOS, Android and Windows mobile devices as well as desktop or laptop computers. If you're making your first deposit you'll get a 200% bonus that includes 25 free spins on Cash Cow (bonus codes: COWSPINS).